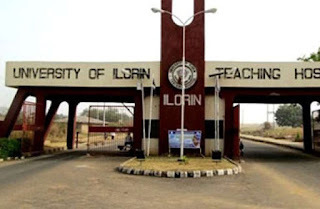 University of Ilorin Teaching Hospital, UITH School of Health Information Management (SHIM) Postgraduate Diploma, PGD (Full‐Time & Part‐Time) Admission Form, Eligibility, Admission Requirements, Duration of Course, Accommodation, Screening Exercise/Oral Interview for 2019/2020 Academic Session. ▪ Then proceed the payment. After payment, the receipt generated will now be attached to form already downloaded on the UITH Platform and bring to the Cash Office confirmation and Stamping before submission to the School. Candidates for admission to Post Graduate Diploma in Health Information Management shall possess HND or Degree in Health Information Management from a recognized institution. Also candidates with degree in Medical and allied courses such as Library and Information Science, Statistics, health economics, Computer Science, Anatomy, Health Informatics, Nursing, Epidemiology, MBBS are also eligible. In addition, candidates must certify the O’ level requirements of five (5) credits passes in Mathematics, English language and Biology plus two (2) other subjects. The course is non‐residential. However, there is limited accommodation on first come first serve basis. All completed application forms with original receipt of payment must reach the office of the Registrar, School’s Complex on or before Friday 15th February 2019.. Date: Thursday 28th February 2019 - Friday 1st March, 2019. Venue:‐ University of Ilorin Teaching Hospital School Complex (Former Maternity Hospital) Amilegbe, Ilorin. Candidate should please note that late completion and submission of forms will not be entertained. Any candidate with blurred or unclear passport photograph on the form will not be admitted for the screening exercise as the photograph will be used as a means of identification. Any candidate who fails to present himself or herself for the screening exercise as scheduled will not be considered for admission. Applicant are advised to attend the exercise with the detached slip from their application forms as well as their writing materials. The use of GSM and other electronic devices will NOT be allowed during the screening exercise. website and on the school’s notice boards.